Let’s be real: making mom friends is hard. In today’s society, we are all pressured to be someone we aren’t. We worry about what others think, especially when growing into our roles as moms. Not even beginning to mention the other struggles each of us deals with, life is just hard. You should be focused on being your best self and doing the right thing for YOU – especially because, as a mom, you constantly have little eyes and little ears that are watching your every move and listening to every word. Eventually they will be saying the same things as you and doing the same things as, or atleast thinking them. It took a long time for me to really think about how I was talking about myself – until I started talking about my flaws in front of my daughter. She too, began repeating the nasty words that were coming out of my mouth. And yep, she started looking in the mirror searching for pimples on her face to pick at, just like me. I didn’t realize how badly my anxiety and my self-worth were affecting my children. I also didn’t realize what an impact it was having as I tried to find mom friends. We moms tend to believe that what we’re doing isn’t good enough. Where do you think most of that shame comes from? You guessed it… comparison. All we want to do is what’s best for our children, but as long as we’re aware and acting intentionally, I think that’s the absolute best we can do. And that goes for pretty much everything in life. All we can really do is give something our best, not someone else’s best. What’s best for child A may not be good at all for child B, so we have to stop comparing our journey and your child’s to the neighbor’s next door… or even worse, to the Instagram mom who seems like she has it all together, and like, a million friends. Truthfully, NO ONE has it all together. Seriously. And if they did, they probably wouldn’t want to be friends with you or me – or anyone else, for that matter! So why do we feel like we must always have it together? My life is pretty messy, and our days never look the same. Some days, I’m a happy mama who’s got the day and week planned out; others, I’m an introverted, emotional mess. Some days, I’m on top of things; other days, I just don’t even want to try. Motherhood is hard, being a human is hard, and more so when the only time you aren’t alone is spent with tiny humans that can’t even hold a conversation. The right people and the right friends will come into your life at the right time. Appreciating the life you have now – with or without friends – will give you a sense of gratitude that will show in your daily life and even in your kids life. Some appreciation and patience in timing is really all we need. Raising kids with good expectations is always the goal for me. Its not because you have this or don’t have that. Take a step back for just a second and ask yourself, “Am I doing my best every day?” As long as we are giving everyday our best self, that’s the absolute best we can do. Our best is the best for our children, and even the other people in our lives. If the people in your life aren’t trying to be a part of your life, maybe its because they need you to be there for them. Do not be afraid to reach out that hand and to be the initiator. The worst that can happen is you be let down, which most of us are used to these days.. so really whats the worst that can happen? Being a mom is an amazing, unique experience that we all get to discover on our own. Our very own journey. It’s also extremely scary knowing that no one has ever really walked in your shoes before. Every mama in history has a lifetime of different stories that have made them into the women and mothers they are. Your tribe is out there waiting for you, but for now, know you are needed, valued, and loved beyond measure, right where you are. No matter what anyone else says or how they make you feel. You are enough, mama. 10,000 times enough. Whether or not you have a best friend. (Whether or not you have any friends!) These lonely early years of parenting are just for a season. Embrace the season you are in, and love people the way you want to so be loved. Your time will come. EverythingMom is an an awesome website for empowering women and the stories that they share. The amazing community of support made me want to write an article for them, and it was accepted! This is my version of that piece that i wrote for them, and i hope you enjoyed it! 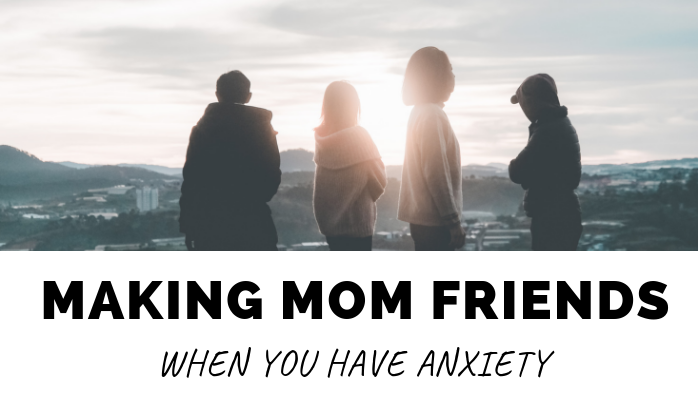 Mamas, have you experienced loneliness as a parent? How did you deal with it, and have you found your tribe? Let me know in the comments.